However, during its many years of development, it changed into a third person shooter and then to a first person shooter. 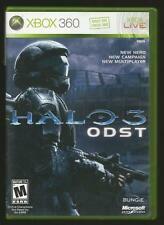 Bungie was then bought by Microsoft, and Halo was converted to being developed for the Xbox game console. The game was released on November 15, 2001. It was later ported to both Microsoft Windows and Mac OS X computers. 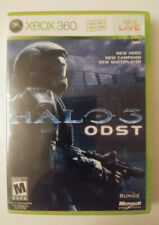 The story deals with the adventures of the protagonist, referred to in the game only as "Master Chief", on a ring-shaped world, called Halo. Stranded with the rest of the crew of the human ship Pillar of Autumn, including the AI Cortana, he fights against The Covenant (an alien race waging a 'holy war' of sorts against humanity) while attempting to uncover the ring-world's secrets, which include the sinister Flood. Halo ends with the Master Chief and Cortana destroying the alien ring, after learning that the ring was a weapon that would destroy all sentient life in the galaxy if activated. 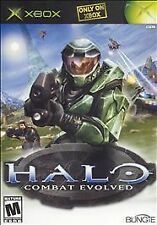 Halo: Custom Edition (commonly known as Halo CE) is a free stand-alone expansion for Halo: Combat Evolved (for the PC) that has the ability to load and play user-created content and maps. This version does not have the option to play in campaign mode. During an online match, other players without a custom player created map can play too. 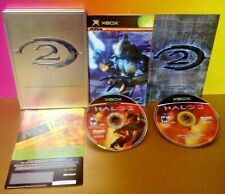 Halo 2 was released exclusively for the Xbox on November 9, 2004, generating a $125 million dollar entertainment record on its premiere day. 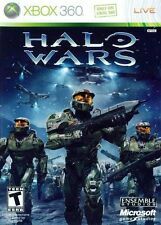 The sequel features new game mechanics such as dual wielding, new vehicles and weapons, better AI, the ability to hijack vehicles, and Internet-based multiplayer via Xbox Live. It has an advanced graphics engine that utilizes normal mapping and bloom effects, helping to make it one of the best looking games on the Xbox. It also has Bungie.net integration and rankings and tracking of every online match, pushing the envelope of online console gaming further. No ports to other platforms have been announced so far. In Halo 2, Master Chief battles the Covenant on Earth and later continues the fight on a second Halo: Delta Halo. Meanwhile, the Covenant slides into civil war and a disgraced Elite commander known as the Arbiter is introduced to the series as a second playable character. In the end, the second Halo is almost fired, but the Arbiter and Miranda Keyes, with the help of Sergeant Johnson, are able to prevent this occurrence. The aborted countdown in response triggers a fail-safe protocol that allows remote firing of all the other ring-worlds from one place: The Ark. The Halo universe expands as well, with new worlds and characters being introduced, as well a deeper look at the culture and society of Covenant. The cliffhanger ending suggests that another sequel is in the works. Halo 2 is much more ambitious than its predecessor. There is heated debate over whether the game is superior to its predecessor. 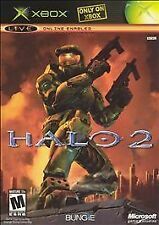 Arguments are mainly directed at the multiplayer aspect of the two games, with emphasis placed on Halo 2's greatly simplified learning curve and controversial matchmaking modes. The cliffhanger ending of Halo 2, as well as the success of the Halo franchise, makes a sequel extremely likely. It is speculated that Halo will become a trilogy, after which Bungie may be done with the series. Sources from inside both Microsoft and Bungie have made contradictory claims regarding whether Halo 3 is currently in development. 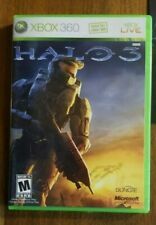 Steve Ballmer, the CEO of Microsoft, was quoted as saying that Halo 3 was in development alongside Halo 2; however, this quote was recognized as a slip of the tongue and debunked before the release of Halo 2. Bill Gates, Microsoft's chairman, stated in a May 2005 Time Magazine interview that Halo 3 would be released in the "second wave" of Xbox 360 titles in 2006, as close to the PlayStation 3's launch as possible, to divert sales. "It's perfect," Gates said, "The day Sony launches , and they walk right into Halo 3. "(Time.com article, registration required; relevant quotes on Gamespot.com). When asked shortly afterwards however, Microsoft senior vice president Robbie Bach was less definite, saying: "We haven't announced anything on what Bungie is doing or where we're going with the future of the 'Halo' franchise... With all respect to Bill, I don't run Bungie's studio, and neither does he. We'll work with the Bungie guys and let people know ". Bungie has not denied that another Halo game is in progress, but they have not officially announced the game. However, the studio is known for being highly secretive and even occasionally misleading regarding development of their games. Bungie has recently made regular references to "our next game" in their website's weekly news updates. Though no official statements have been made regarding what that next game is, most believe it is indeed Halo 3, and that Bungie is just being coy about the project in typical Bungie fashion. Bungie has also recently stated that Sapien and Guerilla, custom-made programming tools used to build Halo and Halo 2, are being worked on. 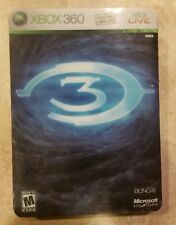 An article in Game Informer in November 2005 reports that: "Halo developer Bungie is so paranoid about the storyline for Halo 3 leaking out that two different storylines are being worked on so that even the company's employees are in the dark as to the plot of the game." 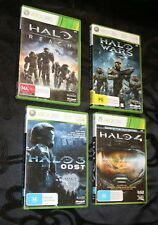 An alternative possibility is that, following the precedent of Marathon Infinity, either an outside agency or a contractor to Bungie is developing the content of Halo 3 and using the existing engine, or possibly porting the engine to the Xbox 360. This view would reconcile Bungie's statement that the studio is not developing it and Microsoft's statements that the game will be released. Wideload Games has been suggested by fans as a potential such outside developer, reasoning that the third Marathon game was developed by a company which was, like Wideload, founded by former Bungie employees. Prices current as of last update, 04/12/19 11:44pm.